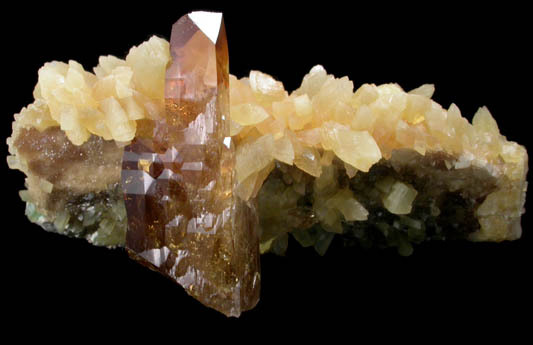 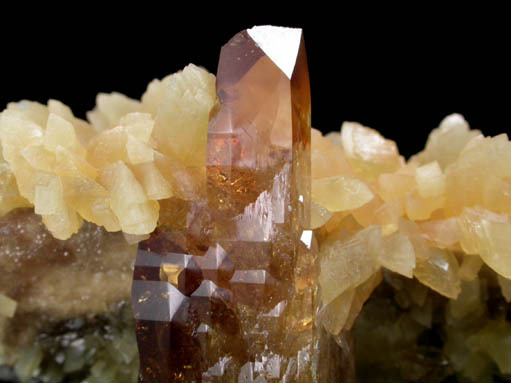 Description: Lustrous transparent golden-brown prismatic barite crystals to 28 mm on one edge of translucent yellow calcite crystals to 8 mm. 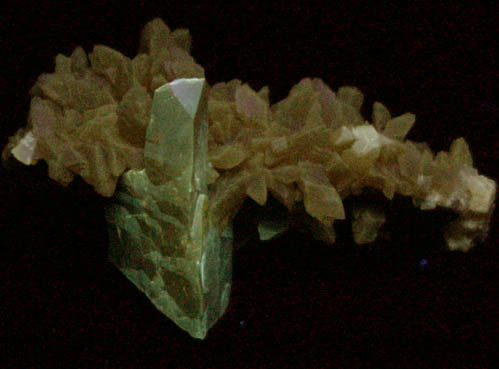 Both species fluoresce under UV illumination. 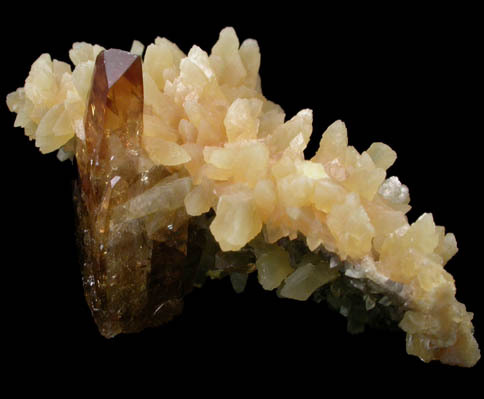 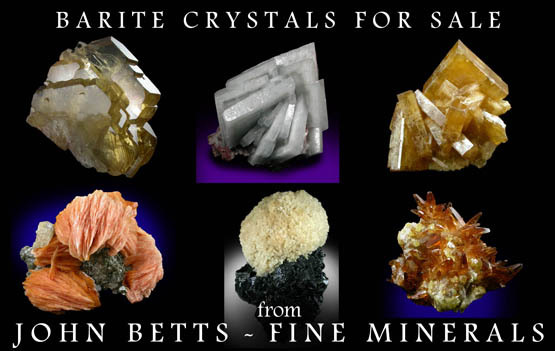 The rear of the barite termination has a small chip on the face.